Welcome to summer in the Porcupine Mountains and Ontonagon County in Michigan’s Upper Peninsula—a time of year when the air is fresh with the scent of pine, the forest is lush and Lake Superior takes on endless shades of blue. This is the perfect time to explore one of the last wild places in the Midwest. Here’s what you need to know to get started on your summer adventure in the Porkies. The Porcupine Mountains offers some of the best hiking in the Midwest. A good place to start your adventure is the Porcupine Mountains Wilderness State Park, which covers 60,000 acres and has nearly 90 miles of recreational trails. Be sure to check out the stunning panoramic views at Lake of the Clouds. Experience some of the most dramatic and wild falls in the Midwest. Popular cascades like Bond Falls and Agate Falls are a short drive away, and wilder falls can be found in the forests of the Porcupine Mountains Wilderness State Park. Explore the greatest of the Great Lakes this summer. Anglers will find great fishing for salmon, lake trout and whitefish, and canoers and kayakers can paddle a seemingly endless stretch of crystal-clear water. Other waterways like the Ontonagon River and Black River Harbor offer fantastic fishing and paddling options as well. 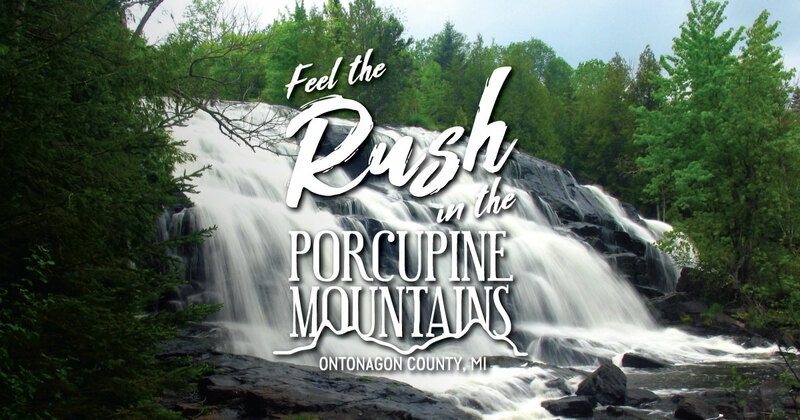 There are plenty of other ways to fill your days in the Porcupine Mountains and Ontonagon County this summer, from historical and natural attractions to great outdoor recreation. Book a stay at one of the area’s hotels, cabins or resorts and start your Upper Peninsula adventure.